The summer is coming and it is time to start prepare yourself for the summer. One of the most important things that you need to have in your wardrobe is the summer hat; there is no doubt about that. 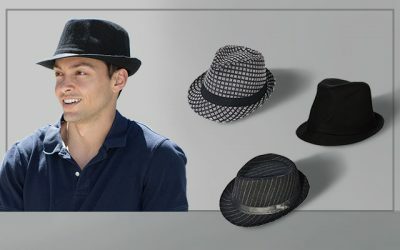 Men’s summer hats are essential to protect your face from the harsh sunrays in the summer. In addition, they help to enhance your summer style and there is no reason why you don’t buy for yourself a summer hat with the newest trends and styles. 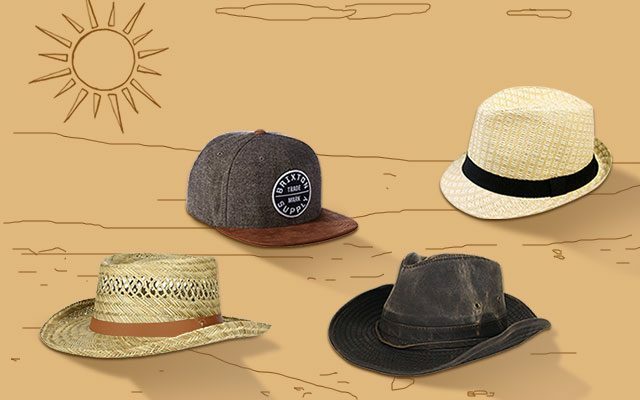 Check here for the complete guide on buying a new summer hat. 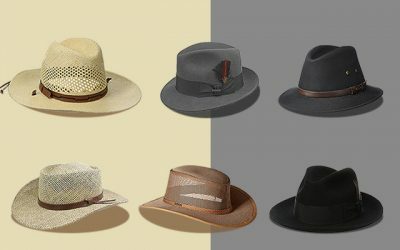 We also pick out some of the best men’s summer hats for your consideration as well. They are different in styles, materials, and features. Let’s take a look to see which one is the best option for you. If you are looking for a summer hat of the snapback design, check out this hat. It is made of 80 % of acrylic and 20 % of wool. It features the flat billed trucker hat design with a 6-panel crown and a contrast logo embroidered on the front of the hat. The back of the hat is made with the snap-back closure. There are 15 choices of color patterns for you to choose from including grey and copper, gold, burgundy, and white. First of all, I like how sturdy the hat is. When you buy a snapback hat, you would want a hat with a sturdy flat brim that would stay in its shape no matter what. And you will not be disappointed with this hat. This hat is made of the acrylic and wool material- they make the hat have a thick and tough body. On the other hand, the hat is still very lightweight and breathable. Finally, while this hat is available in 1 size, thanks to the snapback closure, you can easily find your best fit. 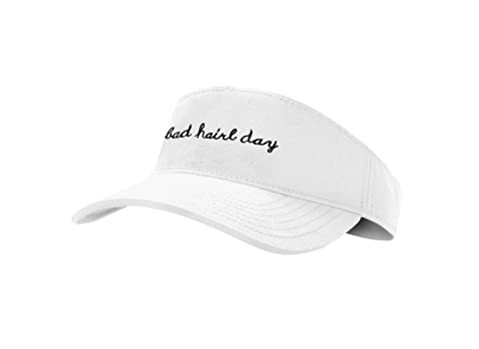 You can wear this snapback hat with your casual clothes- when you go out with your friends and do some errands, this hat is a go-to hat for sure. One thing that I don’t love much about this hat is that you need to spot clean and hand wash it to keep the hat in the good shape. This summer hat is made of 100 % of cotton washed twill, featuring the visor style. There are 3 options of colors for you to choose from including black, pink, and white. The hat is made of the high quality material which is soft and lightweight. In addition, it is very breathable. The material is also very tough and durable that it can withstand heat, sweat, chlorine, and saltwater. Its brim measures 3 inches to increase visibility on bright and sunny day- the sun will not hit your eyes with this summer hat. Also, the brim is wide enough to protect your face from the harsh sun rays. Its lettering is embroidered, so it won’t fade or flake off over time. On the inside, this visor has a 1″ sweatband to keep your head cool and absorb sweat while protecting your vision. Last but not least, the Velcro is very tough and strong which will last for several seasons. 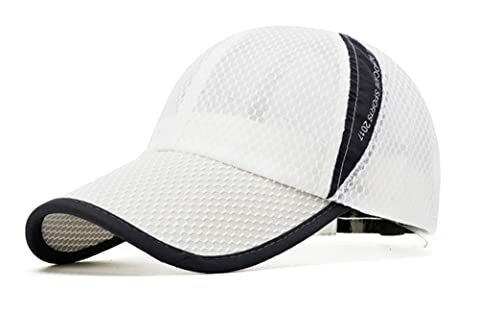 If you are looking for men’s summer hats to wear when you go out for activities such as running, working out or taking part in other outdoor activities. With this visor option, you would have the best vision even when the sun is very high. However, keep in mind that while there is a brim to protect your face from the sun light, the back of your head is not covered and the harmful sun rays will get into your head. Also, with the visor design of this summer hat, your neck is not protected when you go out in the summer days. Here is another hat with another style. This hat is made of 65 % of polyester and 35 % of cotton rip stop. It features the bucket hat style with a soft crown and a wide round brim. There are 8 options of camo patterns for you to choose from. There is an adjustable chin strap to make sure this hat is a good fit for you. This hat is a great choice for you to wear when you take part in some outdoor activities like hiking and camping. Thanks to its camo pattern, you will find it very useful when you use it in your hunting or fishing trip. The materials of this hat make it not only tough and durable; it also has a quick drying performance. 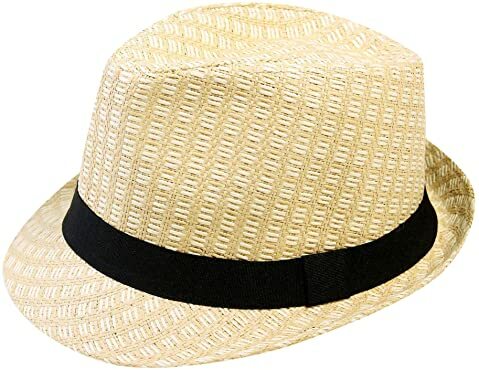 Another thing that makes this hat a great option for you to wear in the summer is that the brim of the hat is wide enough for you to provide shade for your face as well as your ears and neck. 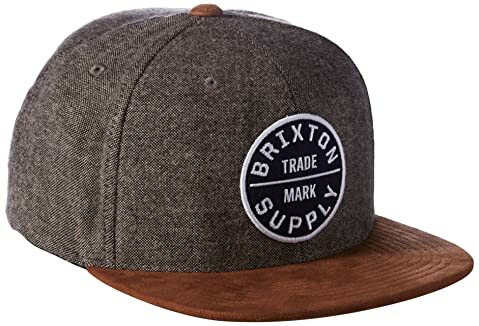 Furthermore, this hat comes with 2-snap buttons so that you can easily change to different style that you like simply by snapping the buttons. In addition, the chin cord of this summer hat is also removable so you can choose to take it out if you feel the need to. 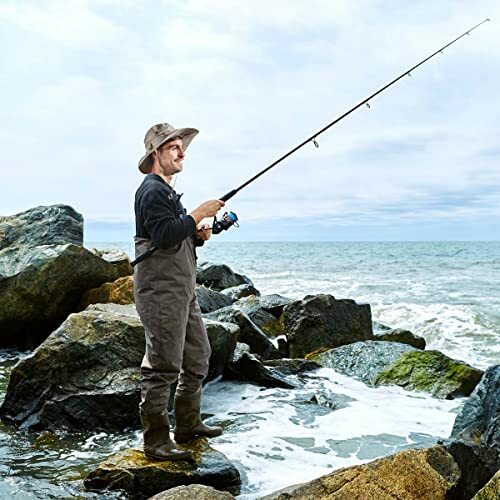 Last but not least, this mens wide brim sun hat has 4 grommet eyelets with a mesh screen to help ventilate air, wick moisture away, and make sure that you always feel comfortable wearing this hat even in the hottest summer days. This hat is made of 100 % of cotton with 3 options of colors for you to choose from including brown, black, and kaki. It is made with the weathered cotton for a rugged and broken-in look. In addition, this summer hat comes with an interior brown band and lining to help absorbs sweat and make it more comfortable for you to wear. The chin cord helps to keep the hat stay secure on your head for a long time. And if you don’t like it, you can easily take it out without any difficulty. It is one of the most protective summer hats for you. It has a high contoured crown and a wide brim to provide a lot of cover for your face. In addition, the material of this hat is rated 50 + UPF for the extraordinary to block the harmful elements of the sunrays. Last but not least, the brim of this hat, although it is wide, will not become floppy at all in case of a high wind. Also thanks to the inner wire that runs along the outer edge of the brim, you can easily reshape it to the style that you want. 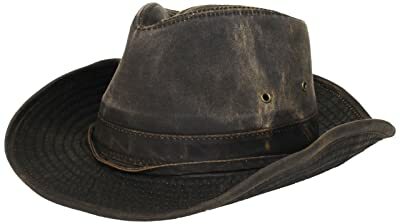 This sun hat with the rugged and weathered look is suitable for any vintage cowboy look that you intend to wear in the summer- it goes perfectly with Jeans and a pair of boots. If you are looking for mens sun protection hats, surely you will not be disappointed with this one. This hat has one of the widest brims. The brim of this hat is 4 inches in width- wide enough to protect your ears and your entire face. Still, it would not be so wide and floppy that it would cover your vision. 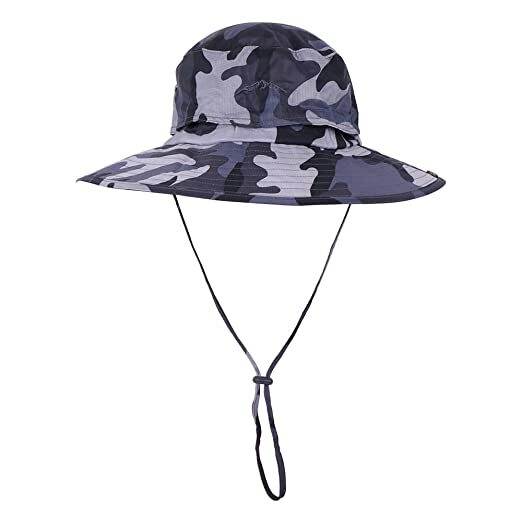 In addition, like some other high quality sun hats on the market, the fabric of this hat is rated 50 + for the maximum protection against the harsh sun rays. On the other hand, the mesh part inside the crown is capable of keeping your head cool and well-ventilated in the hot summer days. Also, thanks to the headband, all of the moisture is wicked away and you will never feel irritated or uncomfortable even when you have to wear the hat for a long time in the summer days. There are 4 options of colors for you to choose from including dark grey, camo, army green, and light grey. In addition, there is an adjustable chin cord for you to easily adjust the hat to make sure it stays secure on your hat. One of the most significant features of this hat is that the crown of this hat is made of the waterproof material. As a result, you can wear this hat under the rain. Or you can wear it when you go fishing. In addition, thanks to its soft material, you can fold this hat and pack it inside your bag when you go camping or hiking. The material also makes the hat very lightweight and breathable, a feature that every high quality sun hat needs to have. 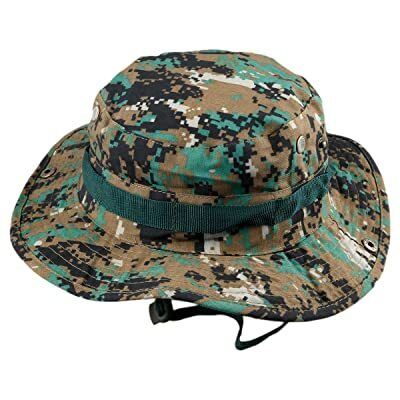 This sun hat features the boonie hat style which is made of 100 % of polyester. It is available in 6 options of colors including beige, light blue and navy. This hat is well made with the carefully stitched lines for no loose threads. The construction of the hat is also very strong and sturdy. 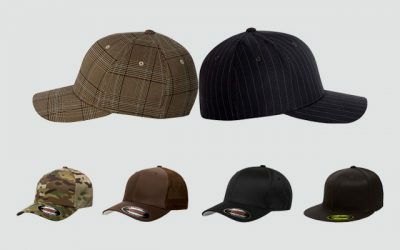 In addition, the hat is made of the high quality material which is lightweight and breathable. Furthermore, this hat also has a quick drying performance. Also, the fabric of this hat is rated 50 + UPF for the capability of blocking the harmful elements. It features the unique snap brim that you can easily change the look of the hat when you want to. Like some of the other boonie hats on the market, this hat is foldable and crushable so you can find it easy to bring this hat around. Also, you can wash this summer hat both by hand and with the washing machine. It will not shrink and the shade of the color of this hat will stay as vibrant as new. 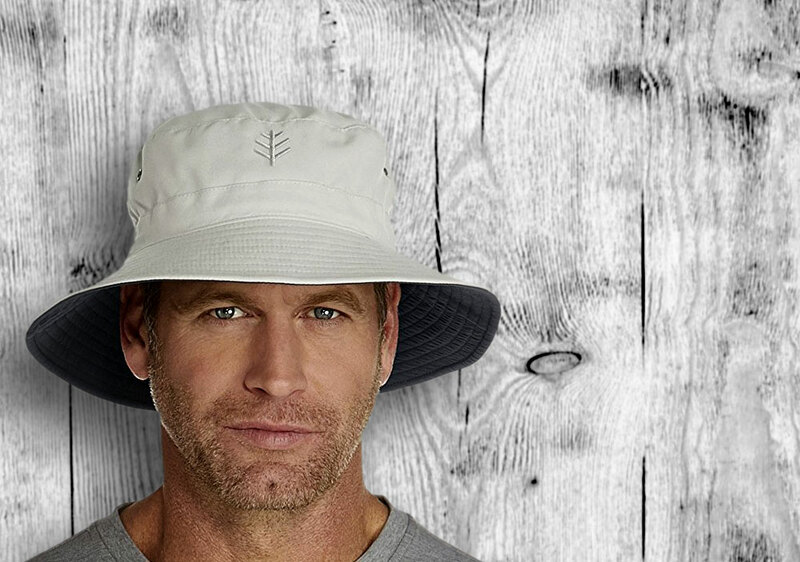 Finally, this hat is made with an adjustable wind cord, which is also adjustable. This feature is practical and also adds a classic decoration on the hat. 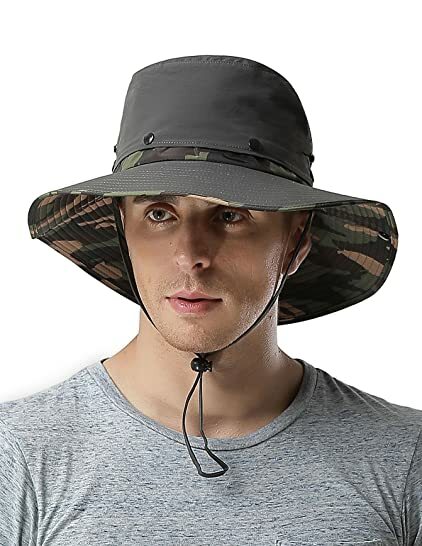 You can wear this hat for a wide range of activities including when you go fishing, hunting, and camping. Undoubtedly, this hat is one of the best sun protection hats that you can find on the market with a decent price. This hat is made of polyester with 6 options of colors for you to choose from including grey, green, and khaki. Why do I say that this hat is one of the best sun protection hats? This hat has a wide brim to offer a lot of shade for your face and your neck. In addition, some of the hats also come with the ear flaps to help cover your face and your ears as well as your neck effectively. While this hat is made of the polyester material which is lightweight and soft, it is also breathable and could prevent moisture from developing when you wear the hat affectively. Thanks to the larger vents and the multiple mesh areas, this hat is even more breathable. Also, the omni-wick headband ensures good breathability while keeping moisture at bay which keeps your head cool at all times. It also has a quick drying performance so that you don’t have to be afraid when you wear it fishing or taking part in water activities. Last but not least, the adjustable chin strap with anti-drop button is great for when you want to take it off for a minute and just toss it over your back. Also, it can keep this boonie hat stable in a strong windy weather. It is definitely a great summer hat that you can wear in the all kinds of weather- including in the sunny, rainy, and windy ones. One of the best straw sun hats is the one from Dorfman. This hat is made of 100 % of natural straw featuring the gambler hat style. 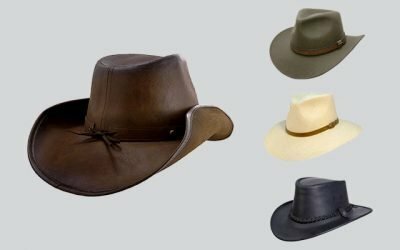 It also feature a faux leather band with a kangaroo badege pin.And as you can expect from the natural straw, this hat is very lightweight and breathable. 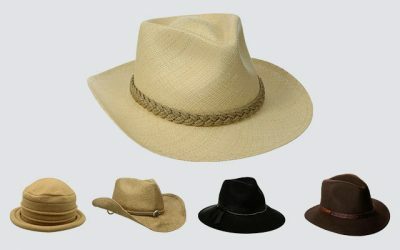 In addition, the body of the hat is made of the natural straw fibers which are woven tightly to prevent the sunrays from getting into your eyes. While it is woven tightly, it comes with a mesh area to keep the air flow freely to keep your head cool for a long time. Not to mention that the body of this hat is treated with a water-repellent finish allowing rain to simply roll off instead of soaking. As a result, you can enjoy wearing it when you take part in outdoor activities such as gardening and fishing. You can wear this sun hat when you go to the beach. It also suits your casual summer style. Keep in mind that for many people, this sun hat is quite large. And it comes with no adjustable chin cord. Still, there are 4 sizes for you to choose from including small, medium, large, and XL. Make sure that you can pick your size correctly. 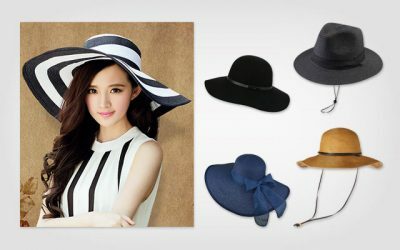 Here comes another choice of straw hat for you to choose from if you want to buy a straw summer hat. 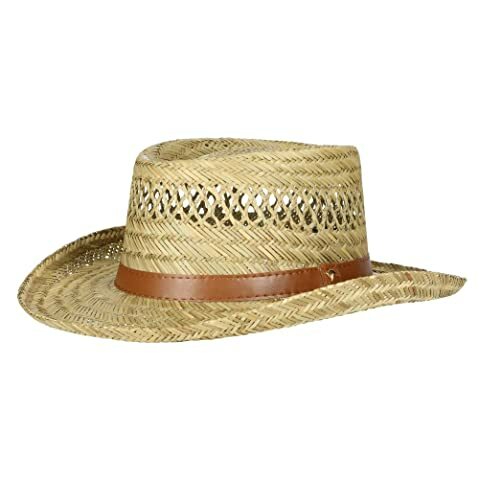 Unlike the Dorfman straw hat which is made of natural straw, this hat is made of 100 % of paper straw, featuring the tear drop crown & short structured brim. Undoubtedly, this hat is lightweight and breathable. It is also woven nicely so that the air can flow smoothly and freely to make sure that this hat is cool for you to wear in a summer day. The hat is also well made for a tough and sturdy construction. All of the lines on the hat are stitched nicely and evenly, adding extra durability for this summer hat. You can wear this hat when you go to the beach. It is also suitable for a themed party as well. And because this sun hat is made of the natural straw, you have a limited range of colors to choose from. If you want a more colorful hat, go for an Ellewin baseball cap. While this hat is soft, you should not fold it and pack it in your bag, Marks will appear on the hat and it will time and skills to get rid of these marks. This summer hat is a baseball cap with more than 10 choices of colors for you to consider including white, navy, blue, and grey. It is made of 100 % of material with the mesh crown. This hat is made with the six-panel design for enhanced durability and comfort. Soft mesh panels are effective in term of bringing better ventilation and keeping you dry and snug. In addition, the mesh vents help to set your head from stuffiness. Except for the mesh material, this baseball cap is water resistant to keep the hat dry all of the time. Compared to the old models of this hat, this year, the manufacturer has made a longer and wider brim for this sun hat. As a result, the hat is more protective and offers more shades to protect your skin in the hot summer days. It is lightweight and comfortable. You can even fold this hat and pack it in your bag to carry around. 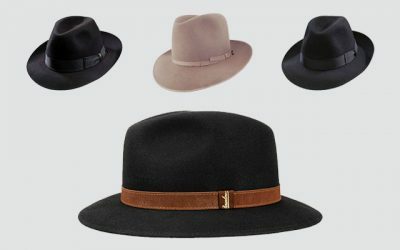 When you take the hat out, it will spring back to its original shape without the appearance of any winkles. In term of using baseball cap- well, a baseball cap is even versatile than a snapback cat. You can this type of the summer hat to any place and occasion. You can pair it with your street style and your causal style. You can also wear this hat when you play golf or take care of yourbusiness. 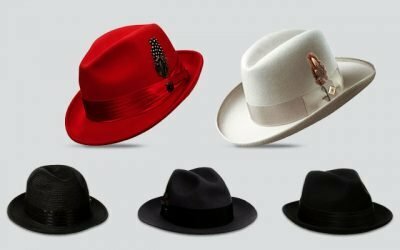 Here are some of the best summer hats for men in 2018. As you can see, there are many different choices of hats for you to choose from. 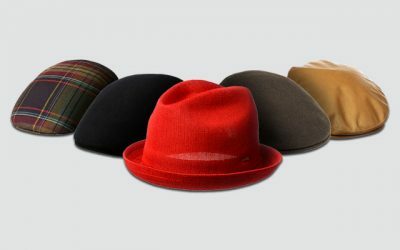 They are different in designs- some are snapback hats while some are the bonnie hats or fedora hats. 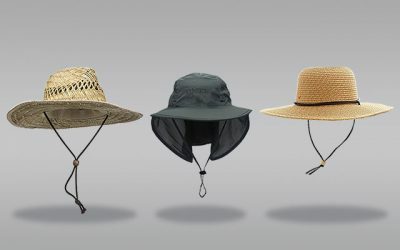 Each of them is suitable for different needs- for example, the snapback is suitable for a day out while the boonie hat is more likely to be worn for a hiking trip. These summer hats are also different in materials and features as well. Think about your own needs and preferences while you choose a summer hat. In addition, consider the quality and the features of the hat well before you to choose one. I hope that with the list above, you can quickly find the best summer hat for you and decide to buy it.